‘Full Steam Ahead’, the game developed by Brunel’s ss Great Britain, the Science Museum and Aardman Animations has been given the nod at the TIGA Game Industry Awards 2013 with three nominations: ‘Best Game with a Purpose’, ‘Best Game Design’ and ‘Game of the Year’. TIGA represents the games industry, developers and digital publishers; providing a chance for them to showcase their achievements and to applaud and encourage the next generation, from exciting start-ups to debut games and students. Despite standing amidst stiff opposition ‘Full Steam Ahead’, with its addictive game-play and beautiful design, more than holds its own. 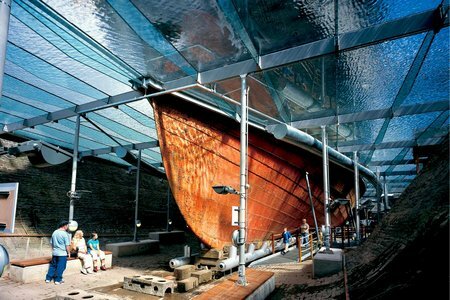 In the game, players have the chance to step into Brunel’s shoes and pit their wits against the sort of challenges that the famous engineer faced when designing and building the ss Great Britain. As part of the Museums and Schools project, a national initiative supported by Arts Council England which aims to give 8,000 Bristol children the chance to visit Brunel’s ss Great Britain, the game serves as an entertaining and engaging resource for the classroom. 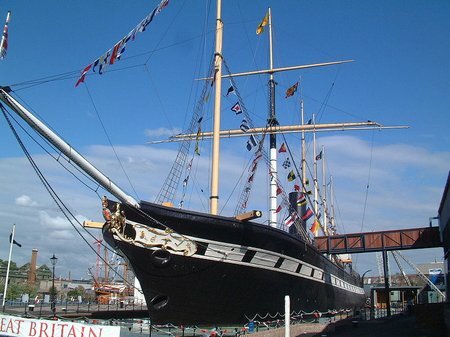 ‘Full Steam Ahead’ can be played online at ssgreatbritain.org; it can also be downloaded for free from both the App store and Google Play. The winners will be announced on 6 November 2013.